Every Malaysian who are employee of any company are required to contribute for provident fund which is a fund for own retirement as well as for buying a property. 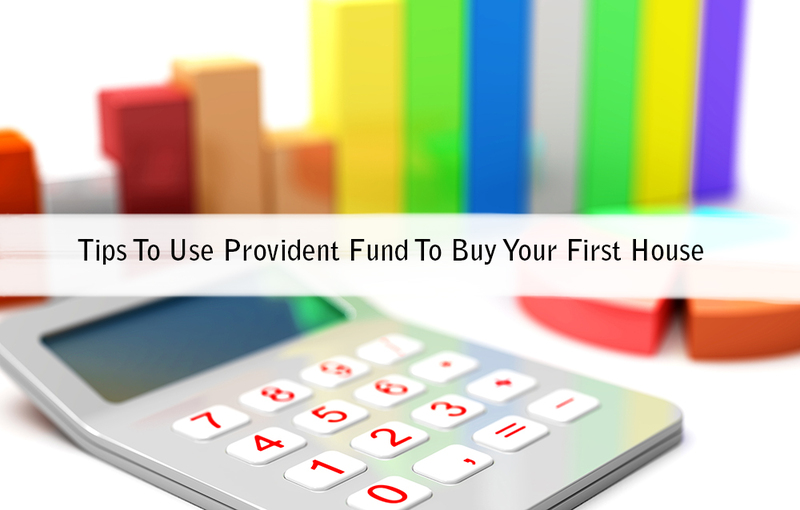 All of the Malaysian are allowed to use part of the provident fund to pay for their first house installment loan. Besides, if the contributor (the person who contributed for provident fund) is below age 55 and he/she has RM 500 in the second account of provident fund, then he/she is entitled to use the money to payoff their mortgage loan. However, in order to able to use the money from provident fund, there is some rules and regulations that the contributors have to follow. If you owe the bank RM 25K, but in your provident funds you have RM 60K, you will only be allowed take RM 60K out of your savings. If you owe the bank RM 70K, but you only have RM 60K in your provident fund, you are allowed to withdraw all RM 60K. 1. Purchase / construction for residential purposes. 2. Location must be within Malaysia. 3. Paid by bank loan or cash. 4. sale agreement is within 3 years from the date EPF accepted the application. 5. Withdrawal is permitted for first house and second house, if there is proof of sale of first house or proof of transfer of ownership of the first house. 7. Purchase of land to build a house (Not more than 6 months between the contract for land purchase and building of the house). 1. Purchase of land only. 2. Purchase of 2 houses and above simultaneously. 3. Renovation cost for existing house. 4. Purchase of third house. 5. Purchase through bank drafts. 1. Purchase or construction of a house. 3. Purchased with a bank loan. 4. Mortgaged to the bank. 5. Property purchased under the owner’s name. 6. 1 withdrawal per year. 7. Withdrawal for repayment of mortgage of the same house. 1. House built or purchased by the spouse. 2. Bank’s approval on mortgage. 3. House owned by the spouse or joint. 4. Marriage certificate or child birth certificate as evidence. In conclusion, provident fund is not only for retirement but can also lower your burden on house repayment. If you use this method wisely, you are able to save your money to invest in something else in order to create wealth for yourself. Besides that, should you wish to purchase a second property, it is advisable to transfer the ownership of first house to your spouse then apply for withdrawal from your second account of provident fund. In such case, you are able to use your provident fund to purchase a second property, in the meantime, you are saving on stamp duty.